Helping a nonprofit better communicate and support their members. About the organization Aevidum is an organization that empowers youth to shatter the silence surrounding depression, suicide, and other serious issues facing teens. 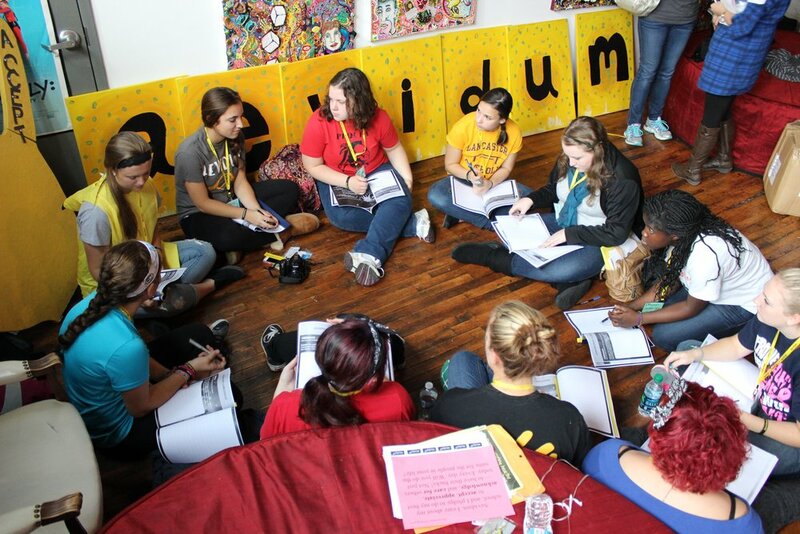 Both the word Aevidum (meaning “I’ve got your back”) and the organization itself were created by students after their classmate died by suicide. Today, Aevidum exists in elementary schools, middle schools, high schools, and colleges across the nation and inspires students and their communities to understand depression and to have their friends’ backs. Our challenge The Aevidum Clubs program has for some time been the backbone of the organization, extending the organization's reach across its home state of Pennsylvania. But for years, the program lacked adequate tools to communicate with and track the progress of these clubs. Aevidum came to Change Better to fix that. In order to support and engage with their clubs, they needed more information about them—their challenges, their successes, their needs. What we did We set out to help Aevidum make data-driven decisions about their clubs and how they communicate with them. By examining key questions about their work and their programs, we were able to help Aevidum steer away from opinions and gut feelings in guiding their approach. We helped them instead to utilize data to find the answers and empower both new directions for their clubs program. 50% of clubs to participate in at least one campaign by June 2016 and a 70% increase in club participation between March 2016 and March 2017. A 25% increase of club report-backs each month. Increase in club membership, with 60% of clubs having at least 10 members by June 2016. We then conducted a club advisor survey to help Aevidum understand how to best communicate, engage, and support their clubs and achieve these goals. The result Our data strategy provided Aevidum with a wealth of information on how to support their clubs program, which exceeded their goals within the first year of its implementation. Additionally, the data have provided more concrete information to share with funders, which has allowed the program to continue to grow at a faster rate than ever before.